Wine fountain?! Where shall we find it? asked followers on Slocally Facebook page. 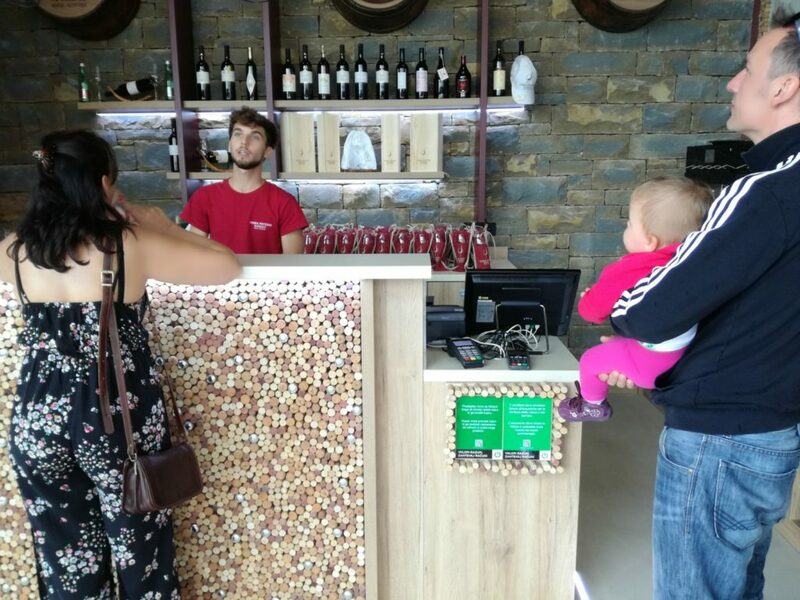 The first wine fountain in Slovenia was opened the second weekend of September 2018 in Marezige, the capital of refosco wine variety at the Slovenian Istria. 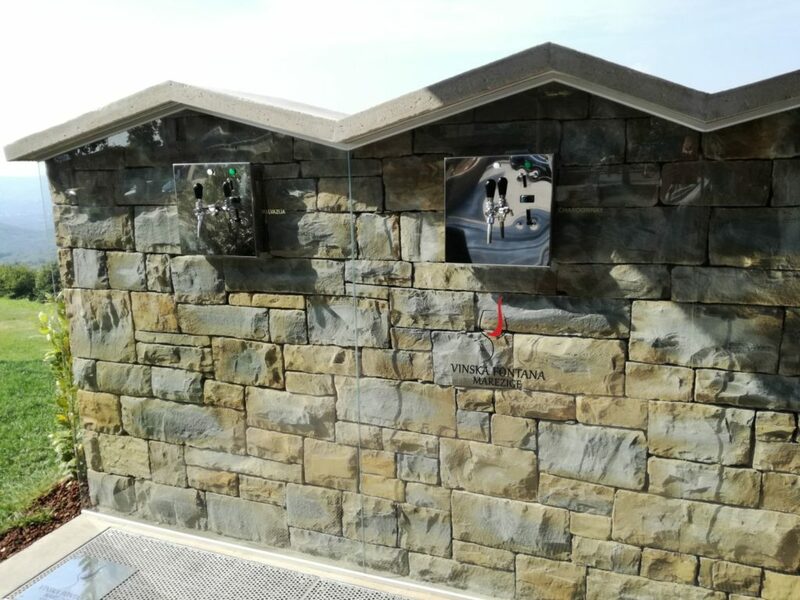 The wine fountain lies on the platform with the most beautiful view of Slovenia. Wine fountain, a symbol of the land of refosco wine, is built by Istrian stone and painted in the color of rubin red Refosco wine. It consists of an outer part where the open local wines can be poured out of four taps, and an inner pavilion where guests can try up to 10 wine varieties from selected collections. This not-a-free-flowing wine sanctuary can be found in Marezige village on the most beautiful natural platform from where you can spot Koper and Trieste bay. This is truly a glass of wine with a view experience. How does the wine fountain function? First, you buy a wine glass in the inner pavilion by a fountain. After that choose between basic or premium package. 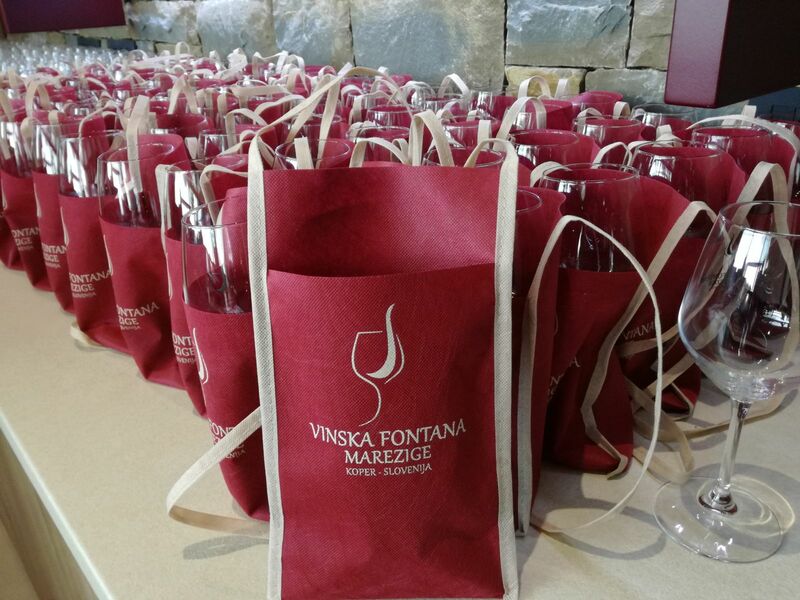 Basic package (8 EUR) covers a glass and 3 tokens. 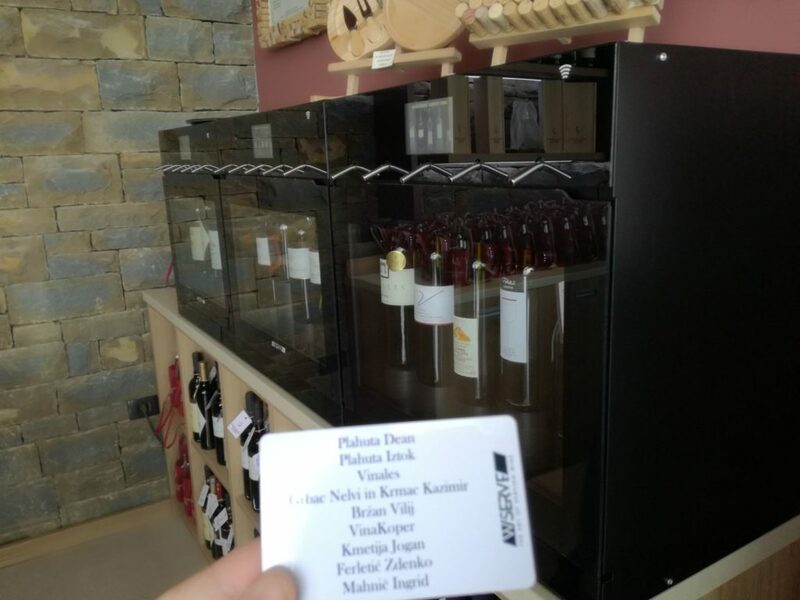 You can taste 3 wines (1 dcl each) from dosing tapes while if buying premium package (10 EUR) you get a glass and a credit card to taste 3 premium bottle wines (1 dcl each) or you taste 6 premium bottle wines (0,5 dcl each). I choose to sample 6 premium bottle wines. After enjoying the best view in a company of my beloved family and a Belgium couple who stayed at Herbal Rooms Homestay 1 week ago, my favorite wine was refosco wine with 16 % of alcohol. 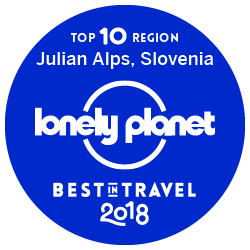 Best time to visit Slovenian Istria: all year around due to it Mediterranean climate. When to taste wines from wine fountain: all year around from 10am to 11pm (summer time) or 10am to 8pm (winter time). 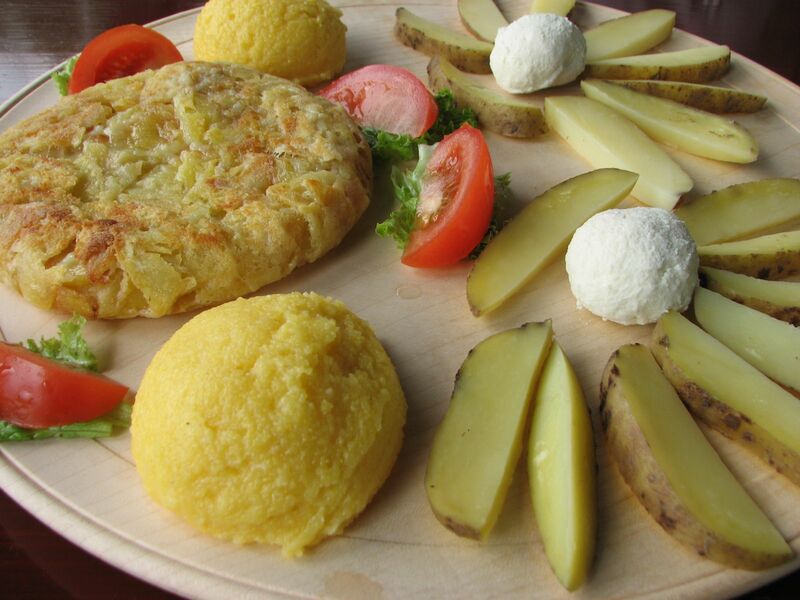 If you need more local tips about Marezige surroundings, send me an email to vesna@slocally.com. It would be a pleasure to help you!